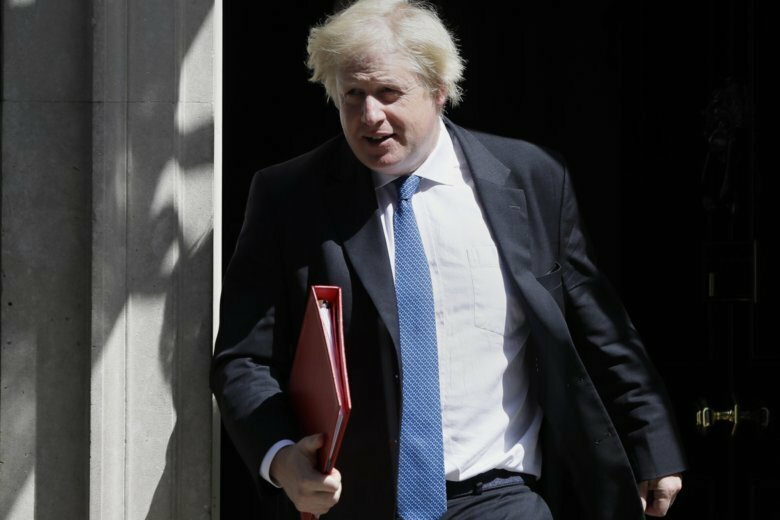 BIRMINGHAM, England (AP) — Former Foreign Secretary Boris Johnson revved up Britain’s Conservative Party Tuesday and ramped up pressure on Prime Minister Theresa May, condemning her proposed divorce deal with the European Union as a “cheat” that would keep the country manacled to the bloc. A day before May was due to rally Tory troops with a keynote speech at the governing party’s annual conference, the popular but divisive Johnson stole the prime minister’s thunder with an address laying out his own vision of Brexit and domestic politics. It was a leadership speech in all but name from a politician who quit the government in July over May’s Brexit plan, but remains a huge Conservative star — and, his fans hope, a future prime minister. In front of 1,500 conference delegates in Birmingham, central England, Johnson lambasted May’s so-called “Chequers plan,” which would see Britain stick close to EU rules in return for remaining in the bloc’s single market for goods. Johnson said that approach would leave the U.K. “in the tractor beam of Brussels,” unable to set its own tariffs and regulations or to strike new trade deals around the world. He said that if the Chequers plan were adopted, “the U.K. will effectively be paraded in manacles down the Rue de la Loi” — a Brussels street lined with EU offices. “This is not democracy. It is not what we voted for,” Johnson said. “It’s not taking back control. It’s forfeiting control. With six months to go until Britain leaves the European Union on March 29, the EU is seeking new proposals from Britain, and May is sticking to her plan, bringing negotiations to a standstill. The Conservatives are divided over how to proceed, caught between Brexiteers like Johnson and those who want to keep close economic with the bloc, Britain’s biggest trading partner. Johnson’s full-blooded pro-Brexit rhetoric has wide support among Conservative Party members, though the speech was light on detail about his proposed alternative. Johnson said simply that Britain should use a 20-month transition period after Brexit to negotiate a looser, Canada-style free trade deal while stepping up preparations for a “no-deal” exit. The tousle-headed politician is known for Latin quips and verbal blunders that have included calling Papua New Guineans cannibals and accusing people in Liverpool of “wallowing” in victimhood. Tuesday’s British newspapers ran a photo of Johnson going for a jog in a grain field. Many took it as mocking May’s assertion that the most mischievous thing she had ever done was run through a field of wheat as a child. Johnson’s list of indiscretions is rather longer. In 2004, he was fired as Conservative vice chairman after lying about an extramarital affair. Last month, Johnson and his wife Marina Wheeler announced they were divorcing after 25 years of marriage — a move some saw as an attempt to neutralize potential stories about his private life before a leadership campaign. After Britain’s 2016 EU membership referendum, Johnson pulled out of a race to lead the Conservatives, which was won by May. His attacks on the prime minister suggest that he wants a second shot at the top job. Jack Aaron, a delegate from Witney in southern England, praised Johnson’s “rousing” speech but said it would be “irresponsible” to try to topple May. “It would make a joke of the United Kingdom if we were to lose our leader in the midst of (Brexit) negotiations,” he said. But with his shock of blond hair smoothed down, Johnson was in a sober, statesmanlike mode. The audience included leading pro-Brexit lawmakers, a well-known political spin doctor and hedge fund billionaire Michael Hintze, a Conservative donor. For many Conservatives, whose party is dwindling in numbers and divided over Brexit, he was a tonic. Delegates stood in line for up to two hours to hear him urge the party to “follow our conservative instincts” by cutting taxes to stimulate growth.